When it comes to New York, it’s common knowledge that nothing is cheap. Whether it’s taking a cab, getting a bite to eat or finding a place to stay. But saying in the city doesn’t have to break the bank. And if you can afford it, it’s almost always preferable to stay in your port city the night before your cruise. 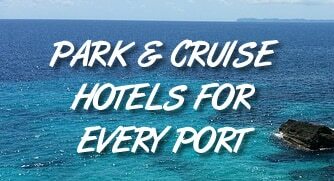 This gives you time to get to your cruise ship without having to stress. There are simply too many stories of passengers with delayed flights on cruise day who end up missing their ship. Of course, having to stay the night before comes with its own set of challenges. Namely, finding somewhere that won’t cost a fortune after you’ve already spent a pretty penny booking your cruise. There are always deals out there, however. To help you out, we recently searched for the cheapest hotels within just two miles of the Manhattan cruise port. This makes it easy to get to your ship come cruise day. To narrow things a bit, we focused only on hotels that are rated “Good” or better by Kayak.com and those coming in at less than $200 per night. Rates reflect a recent search for a Saturday night stay. Expect them to vary for your specific date. Click on the name of each hotel to read review from other travelers on TripAdvisor.com.